ii. A Master's degree with at least 55% marks or equivalent. iii. A minimum of ten years of experience in teaching/ research/ extension in university/college or accredited Research Institutions including experience of guiding candidates for research, in the cadre of Assistant Professor and above, with at least two years of experience in the Associate Professor cadre or equivalent. iv. A minimum score as stipulated in the academic performance Indicator (API) based Performance Based Appraisal System (PBAS) set out in the UGC guidelines communicated by the ICAR. i. A candidate with a Ph.D. Degree in the concerned / relevant disciplines. ii. A Master's degree with at least 55% marks or equivalent (or an equivalent grade in point scale wherever grading system is followed). i. 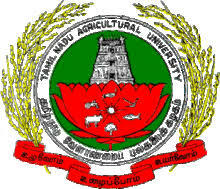 A Master's degree in the relevant subject with a minimum OGPA of 3.20/4.00 (under 4 point grading system) or 7.00 / 10.00 (under 10 point grading system) or its equivalent grade in the State Agricultural Universities (SAUs) / ICAR Institutes/ Government and other recognized Agricultural Institutes irrespective of community is essential with good academic records. The candidate should possess the basic degree in the concerned Faculty from any State Agricultural University (SAUs) / ICAR / Government Institutions. The candidates should enclose the proof for the conversion of Grade Points/ class obtained to percentage of marks.